Targeted for PC, MAC, Linux and next generation consoles, Voidrunner is expected to be released in Steam Early Access on Q2 2016. Voidrunner also fully supports Virtual Reality systems. A Voidrunner 360° Experience Video is available below! Check this out! First of all hello to all LightWave Community! RealityArts is an independent game company which was founded myself Ismail Kemal Ciftcioglu and Bahar Baziki. 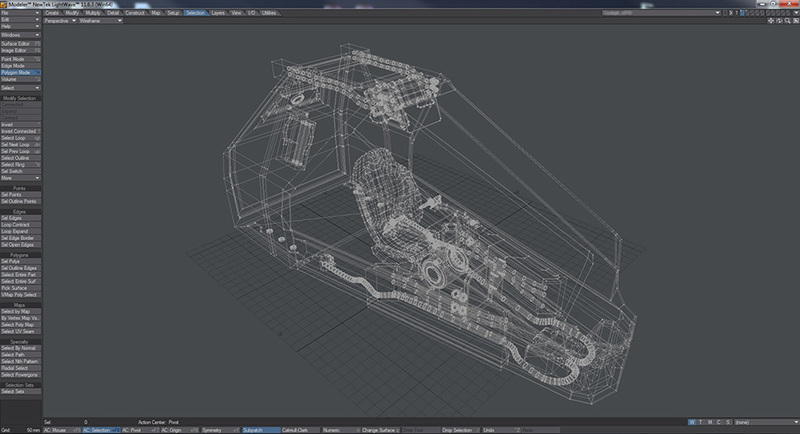 Currently we are developing Voidrunner for PC & MAC and next generation consoles. 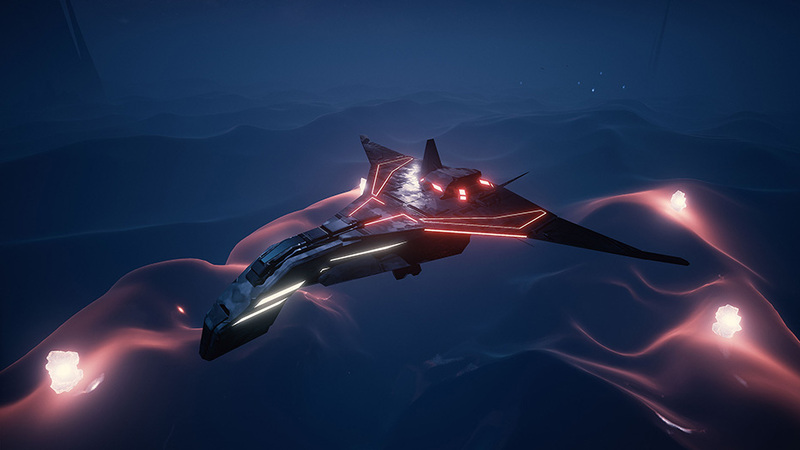 Voidrunner is an intense multiplayer flight game which introduces FPS (First Person Shooter) controls to flight genre in exotic, epic landscapes. In short, people will fight themselves in variety of game modes with single or team based options. 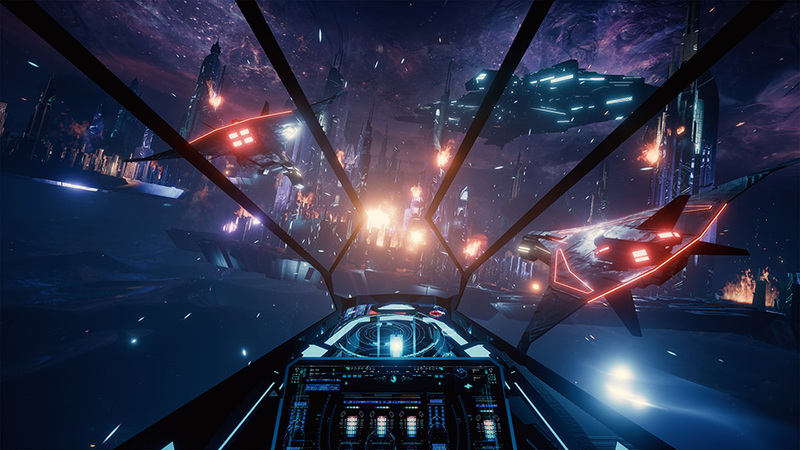 Voidrunner is the first flight game that combines easy FPS controls with large, open landscapes into a fun and addictive flight combat experience. We are using Unreal Engine 4 and we are using its graphical capabilities to its limits while still maintaining good performance in older machines. 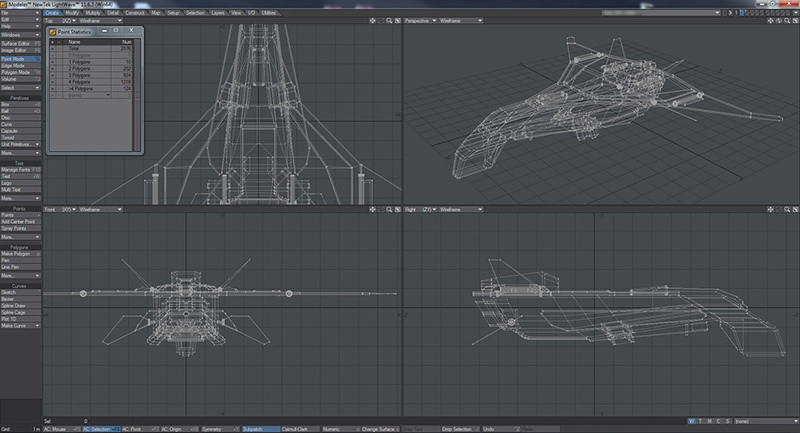 Our production pipeline is generally based on Photoshop = 3D Software = Zbrush = Unreal Editor. Currently the game is in Alpha and we are planning to go for a Closed Beta test on May via Steam. Voidrunner also supports VR devices and our systems are being developed to be played on normal and VR modes at the same time. With the speed and quality boost we gained from using LightWave 3D, we are advancing to our global Steam release at full speed. As a designer, I used variety of software and tools throughout the years. In a time, I was searching the best way possible for production from traditional ways to the latest digital solutions possible. In this time, I was introduced to LightWave 3D. I was a little scared at first because it wasn’t look like any 3D Software I used before. And that’s because it didn’t have the chaos of buttons & UI like other software did. Later I see that this is indeed a great way of creating a complex software. As a beginner to a new software it was amazing to be shown the way by the software itself while using it. With its ease of use, came the speed and to be able to concentrate more on the development. From the concept I draw to the paper to the final 3D model, the whole workflow is so fast that it’s an incredible thing for a designer that works in a heavy development schedule. This fast prototyping and flexibility only LightWave can give them to me. From particles to a crowd simulation, from a low poly model to a motion picture quality render, it’s all industry standard and highest quality possible. And that’s why we decided to use LightWave 3D as our 3D software solution in our main development pipeline for Voidrunner. In a very, very short time, we can create a production quality asset that we draw to a paper without any errors or bugs. 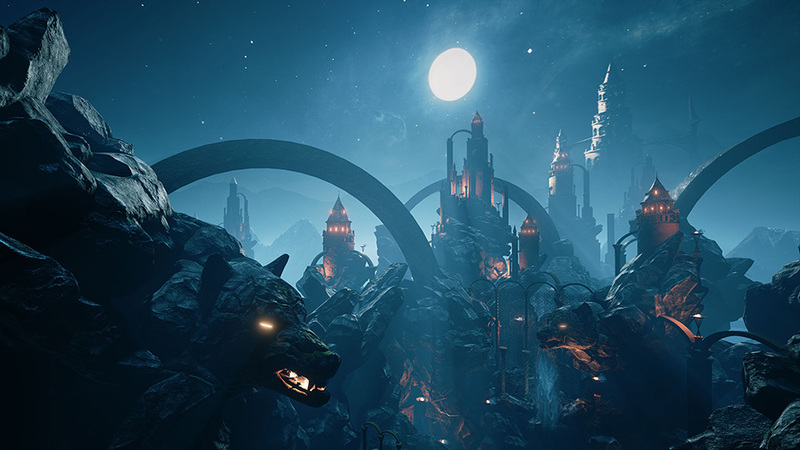 Importing our assets into Unreal Engine 4 is extremely easy and again, free of any errors or complexities. We see now that it’s no surprise it’s being used in lots of successful projects. As for more technical side, we can say that today’s game engines are far more capable and flexible to create complex 3D scenes. We can even get highest framerates in game engine, real time while struggling with 5 6 fps in 3D packages. But that doesn’t mean we don’t work with optimized assets. 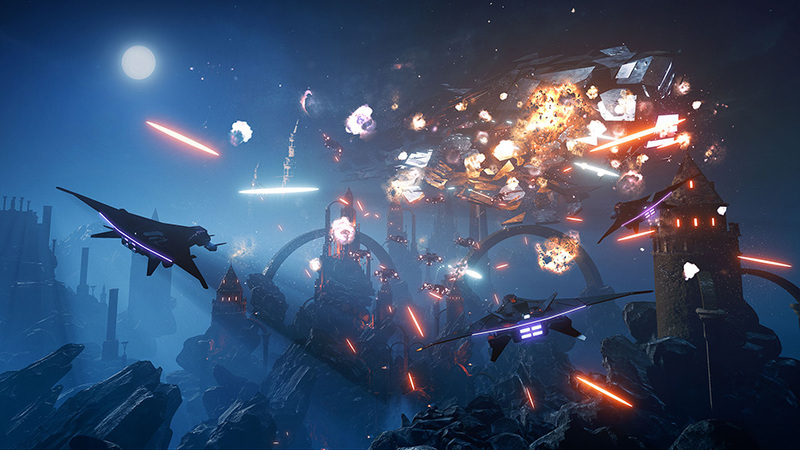 It’s very important for a high quality next generation project like Voidrunner. 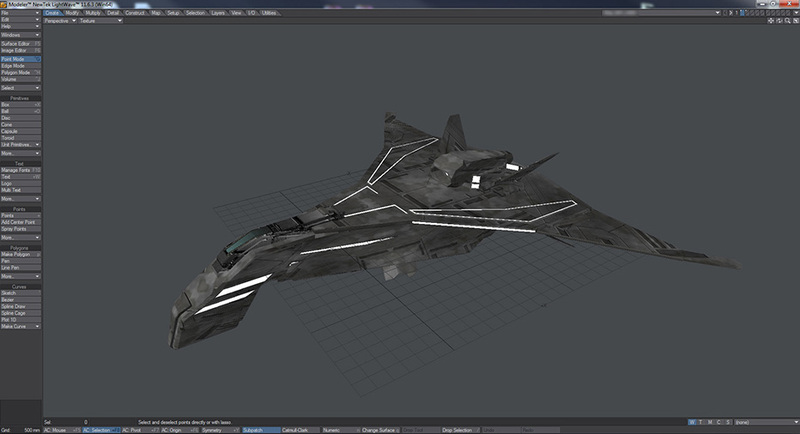 With LightWave 3D, we can create low poly models like we create them in extreme high poly detail. Even as a mesh, a 3D model looks really good. After that it comes to materials. And LightWave again is very helpful in that area too. With Surface Baking Camera, we can add great details in a very fast and efficient way. One of the reasons or should I say one of the most fun reasons I use LightWave is because of VPR. To be able to see a model’s lighting and materials nearly in real time before importing it into the game engine and without waiting for it to render is incredibly very powerful feature for all of us. 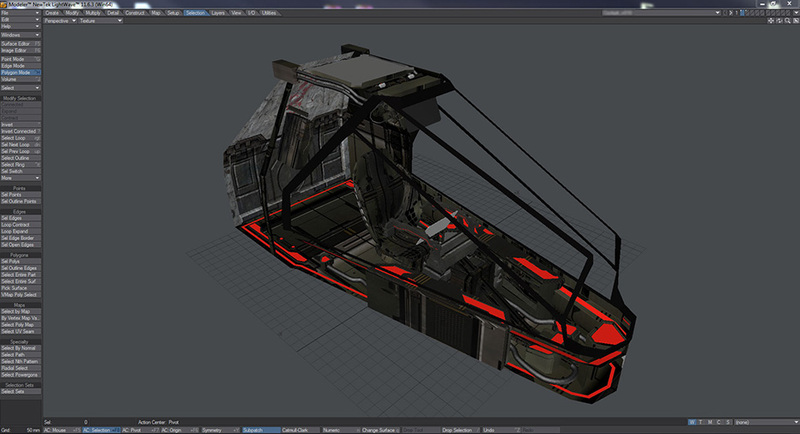 That’s why LightWave 3D is a very important production solution for Voidrunner. Today’s game engines are using PBR (Physically Based Rendering) for their material system and currently it’s not available in LightWave but it’s not a problem either. Because the material features and lighting is always so true and good in LightWave, with minimal work in Unreal we can create the desired look in the game in a very short time. In short, LightWave 3D is like an army waiting for orders. As Voidrunner Team, we see it as one of our greatest weapons in our arsenal :). Learn more about the game on the official website, YouTube, Twitter, Facebook or Instagram.